The application is linked at the end of this page. Please read this entire page before filling out the application. Please also ensure that you have an account on our forum. You will be required to provide your forum screen name in the application. If you do not already have a forum account yet, you may register for one on our forum. If you have ANY QUESTIONS regarding the approval process, standards, or if you would like to know if your armor is “ready to approve” before sending in your application, please feel free to contact the Personnel Officer or any of the App Team members as listed on the Mercs Staff page. Please make sure to first read the specific requirements for the era of costume you are submitting. Examples of high-quality application pictures of a properly aligned/spaced/fitted Mandalorian Armor costume can be found at the bottom of this page. The overall look and quality of the costume is one of the most important factors we look at. Making sure that parts are properly aligned and fitted correctly may mean the difference between approval and denial. Questions and pre-screenings can be done by PMing or emailing Application Team members or your local Clan Ruus’alor. If you have an item you are questioning, please ask before you submit your application. Crossover Mandalorians, those that are an obvious cross between Star Wars and another license such as HALO, Battlestar Galactica etc. are not permitted. Armor and weapons from other licenses may be used. However, they must be so modified as to no longer be recognized as their original license. Theme Mandalorians, those that are an intentional fusion or advertisement of another license such as a Superhero, Sports Team etc. are not permitted. These sets may be used a secondary set of armor and my be worn at unofficial/public/open events only such as conventions. They may also be used at Official events where Star Wars and the other specific license are both being showcased together. Examples would be Star Wars Day at the New Orleans Saints Gameday. Where a costume of Star Wars type in the teams uniform design would be appropriate and appreciated by the fans. Nerf guns are readily available and have become a staple for Mercs costumers to use, but have become much more popular in the mainstream and have lost their uniqueness and “Star Wars-ness”. We do strongly recommend that new applicants refrain from the use of Nerf weaponry without significant modification. As of January 1st, 2010, in order to submit an application for (Tier 3)official membership, you MUST be 18 years or older. Legal guardians and parents who are official Mercs members may submit an application for their under 18 child. This ruling is to ensure the safety of minors at events, conventions, etc at all times. Parent Mercs will be required to attend any event that their child attends. The Mandalorian Mercs have great respect for other colleague groups and their value in the Star Wars Universe. However, all applications should do so with the understanding that any and all acceptances from other groups are not taken into consideration into the Mandalorian Mercs and the club holds completely separate standards to these groups. You apply knowing that you will be judged based on the criteria and opinions of the Mandalorian Mercs Costume Club and not of any other organisation or professional body. Mandalorian Mercs Costume Club approves for membership certain “canon” Mandalorian costumes also approved for membership by other Star Wars costume organizations, because of this we share similar Costume Requirements with these other organizations to help ensure costume consistency and high level of quality. While MMCC shares similar Costume Requirements with these groups, MMCC holds it’s own opinion on each applicant’s quality and execution of those requirements. As well as checking that your costume meets or exceeds the requirements listed in the aforementioned pages, you should also make sure that your costume is worn in the best quality way possible. While a costume may meet the requirements for admission, if it is put on sloppy or made with materials that do not look like they came from the Star Wars universe, then your application may get dinged for changes. An application costume can meet requirements but can be denied base on overall quality or look. Please make sure you inspect your costume fully before taking your application photos. The person applying for official membership MUST be the person filling out the application (except in cases of applicants who are under 18 children of Official Members). Fully read and complete fitting guidelines, costume standards, and application along with costume pictures. 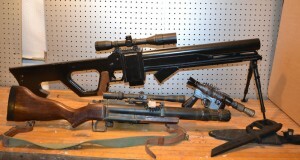 Pictures must include front view, back view, left and right side view, close-up of helmet, helmet-off shots, and a picture of your prop weapons. Application will be sent off to MMCC Approval Team. Judging, discussion, and voting of approval or denial by MMCC Approval Team. Approved applicants are made Tier 3 Official Members, and are emailed a letter of approval and Tier 3 status. Denied applicants are emailed a letter outlining needed fixes/improvements, these letters sometimes contain possible ways of fixing issues, as well as sometimes contain a manipulated copy of submitted application photos to better illustrate the fixes required. Denied applicants have 3 weeks from the date denial email was sent to make the appropriate costume fixes/improvements. Applicants who fail to meet the 3 week deadline MUST submit a new application for Official Membership. In some cases, the Approval Team may request further pictures or clarifications on questions about your costume. Approval process may take up to 2-4 weeks depending on availability of the staff for voting and discussion.